So, my original vision for the latest Runway Inspired Challenge (ric#75), was to make a photo frame into a shaker card using tulle instead of plastic film. I ended up ditching the die cut frame after 3 unsuccessful attempts. 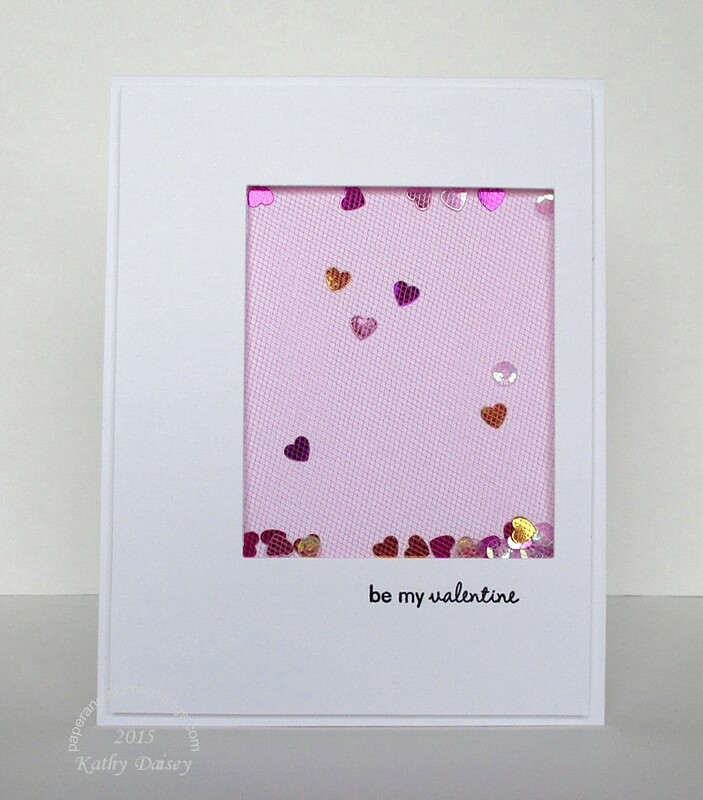 Definitely a card that will need to be hand delivered – a tulle window is not sturdy enough to mail. Supplies: Stamp – Papertrey Ink, paper – Papertrey Ink White, ink – VersaFine Onyx Black, die – Taylored Expressions, tulle, sequins – sources unknown, embossing powder – Filigree Fine Art Powder clear. 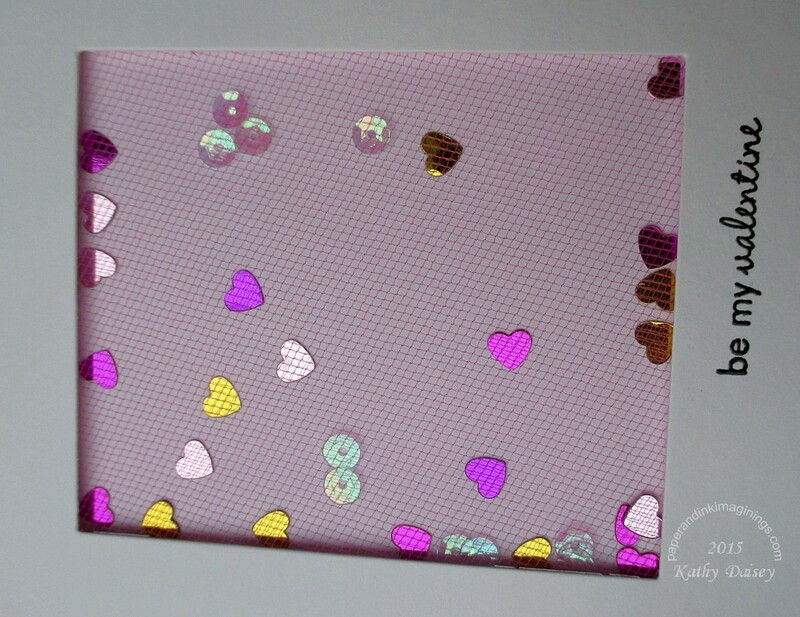 Categories: card, Valentine's Day | Tags: Papertrey Ink, Runway Inspired Challenge, Taylored Expressions | Permalink. Love the heart sequins! So cute and matches the inspiration so well. Yeah! Oh, thanks so much, Kathy! 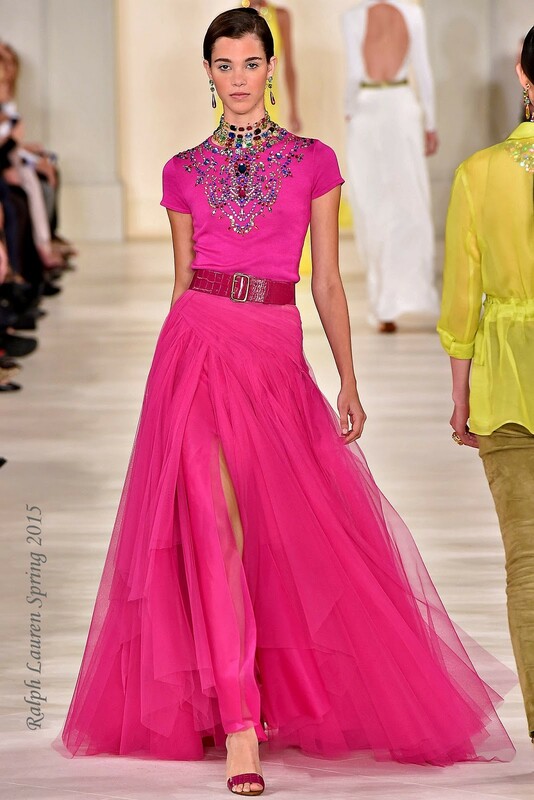 Love the Runway! Super fun – I don’t happen to have hot pink tulle laying around my house, but I’m so glad you did!! And it stinks that sometimes those shaker cards don’t work the way you want them to. But good for you for persevering until you were happy with it! Love every detail! Thanks so much for playing with us at the Runway Inspired Challenge – we’re so glad you did! Karolyn, thank you for the kind words! You know I love the Runway Challenges! Thanks so much for leaving a comment!